I am SO freaking excited. 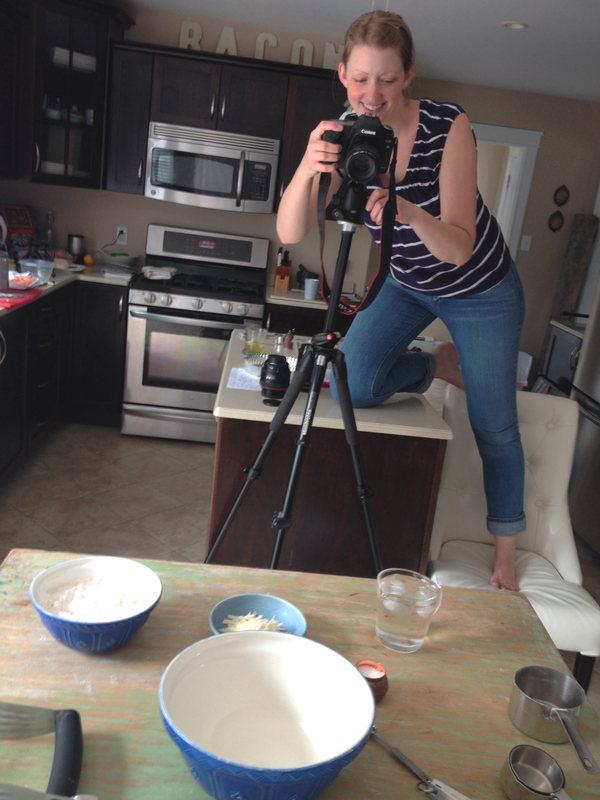 Last week, the lovely Kelly Neil and I got together and made a real live, fancy looking food film! We have a lot in common besides being members of Halifax Food Bloggers and I was flattered when she came to me with the idea of working on this project. 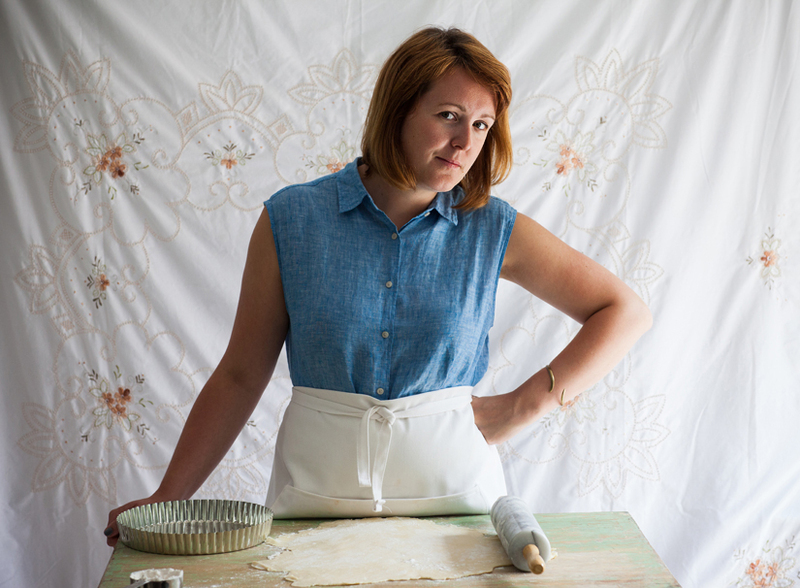 It just made sense to make a film with Kelly; we both love pretty things and food, so why not get together and make something that is good-looking and delicious? Kelly and I both adore French and Italian cuisine, so we felt that it was appropriate on our first collaboration that we marry the two styles and create a recipe that reflected this: a Quiche with Italian ingredients. Géniale! 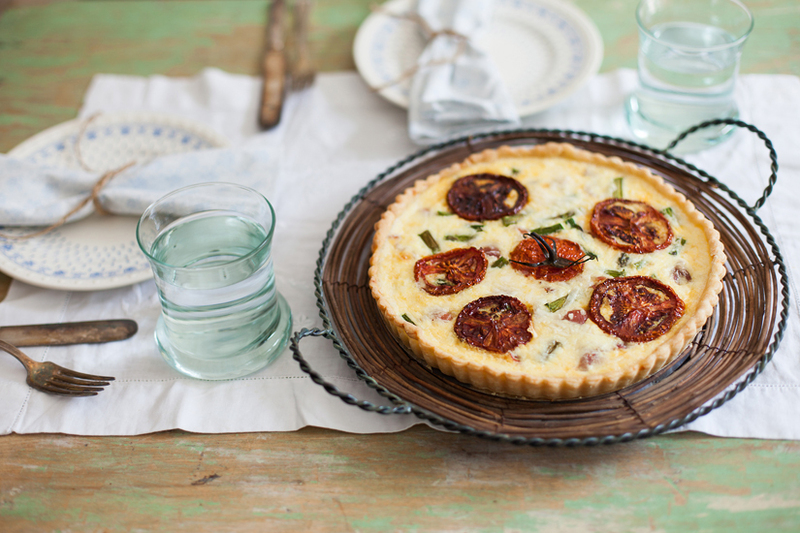 In honour of the film, we created Prosciutto, Asparagus, Fontina Quiche with Oven-Roasted Honeyed Tomatoes. And it tasted SO GOOD! 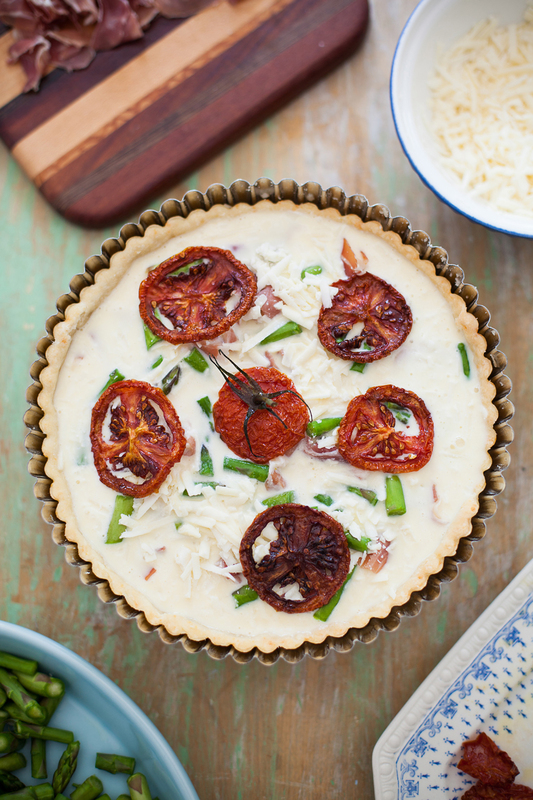 Kelly’s honeyed tomatoes complimented the rich and salty fontina cheese that flavours the crust and the custard, while the asparagus and prosciutto were the perfect addition to the creamy, rich egg mixture. Even though it’s my hands and the ingredients that have the starring role in this production, I was pretty nervous about making the film; I have never really been on camera before, and at first I didn’t know how to act without looking awkward. But Kelly was ever so patient with me and I think it turned out amazingly! We spent the full day making this three minute film, and I cannot lie, it took way longer than I thought it would. All we were doing was cooking on camera right? No, the angles had to be changed, ingredients rearranged, and lighting adjusted in order to make pretty, delicious things. Just look at the shot below, if we had filmed front on, there is no way the quiche would look as beautiful as it does. She is pretty awesome, right? 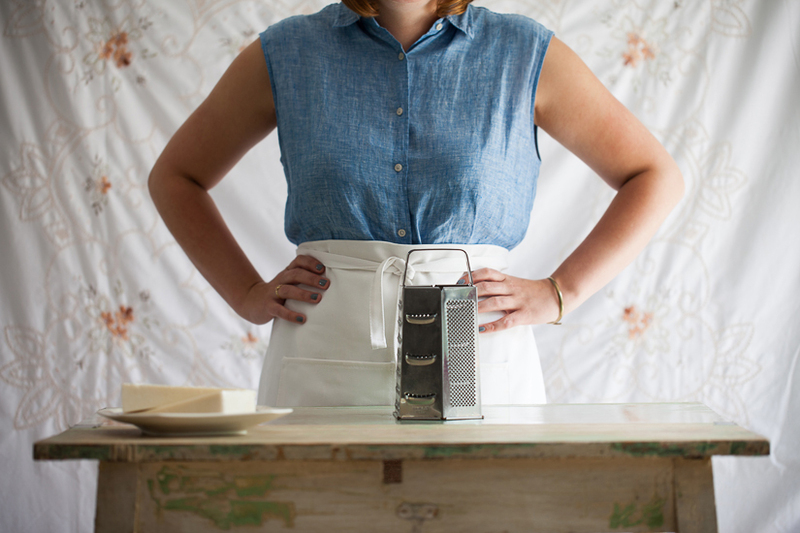 I mean, this girl is good, she can make me, the awkward first timer, look like a fierce Food Network chef (if I do say so myself). Look out Kinfolk, Kelly Neil and Gabby Peyton are coming for you. If you want to make this Quiche at home and taste just how delicious it is, here is the recipe. ENJOY!